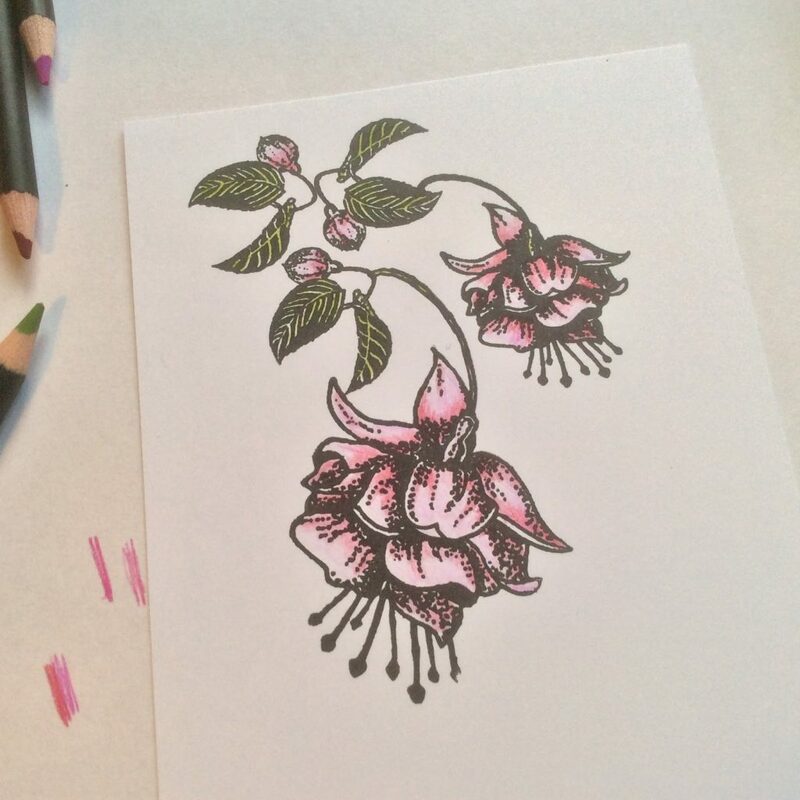 Fuchsia Stamps. 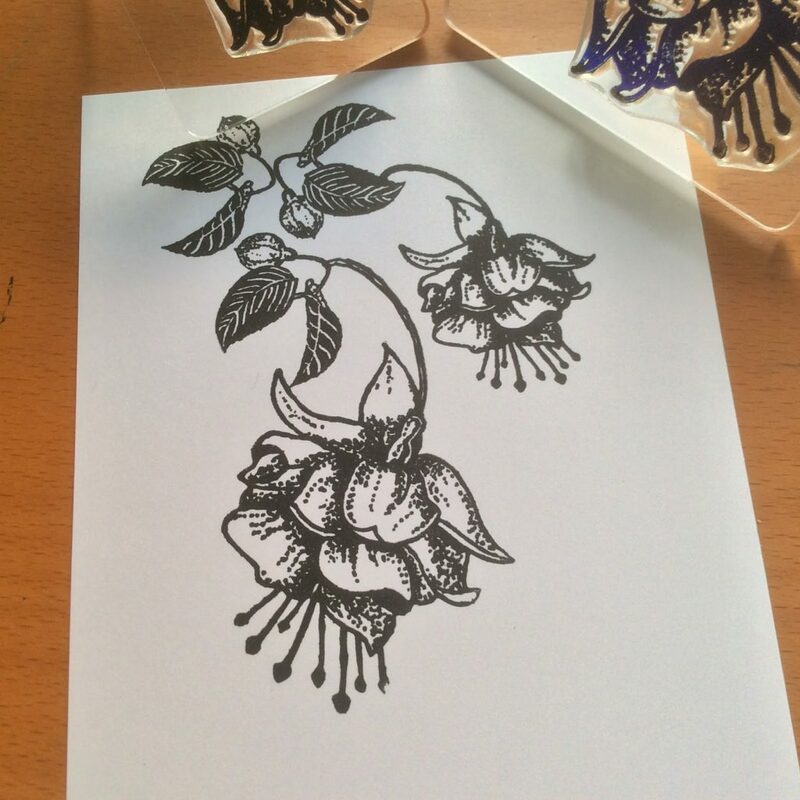 The first stamps I drew…. It’s early Saturday morning, and I’m up with the lark, before the house starts moving, and the last day of this first Clarity retreat commences. 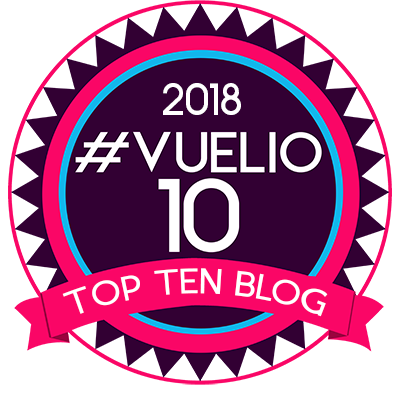 I have to tell you, it has been one of the best weeks ever for me personally. Spending time with smashing women, most of whom I have known for years, and many of whom have become close friends? If this is work, I don’t mind doing overtime! So I am full of gratitude, counting my blessings, and happy today. 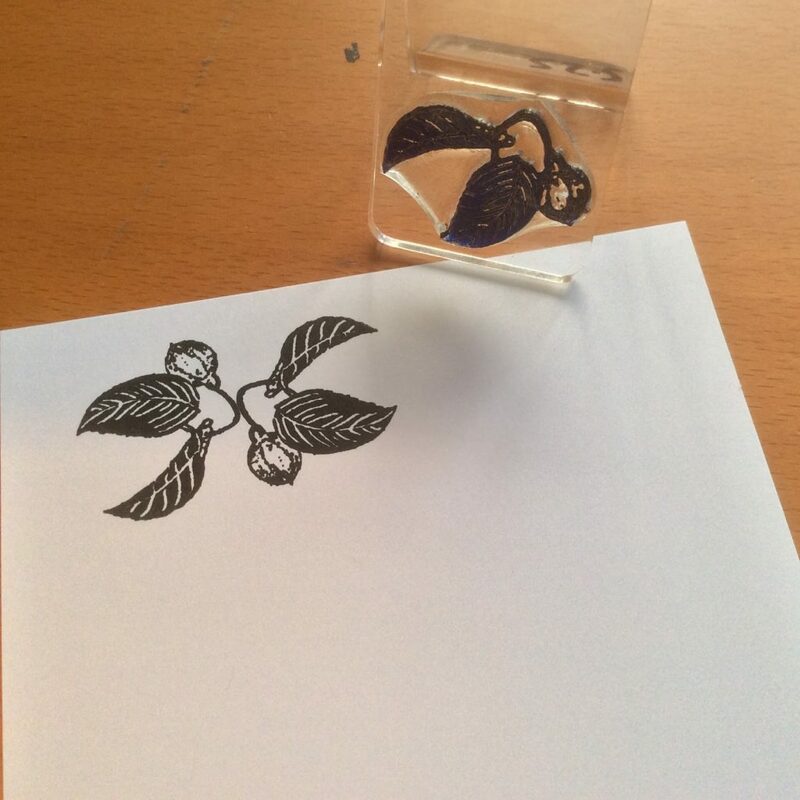 and thought I would get out our very, very first Claritystamps, which I draw some 20 years ago. Stamp the buds at the top in Black Archival. Add the Fuchsias, little and large. 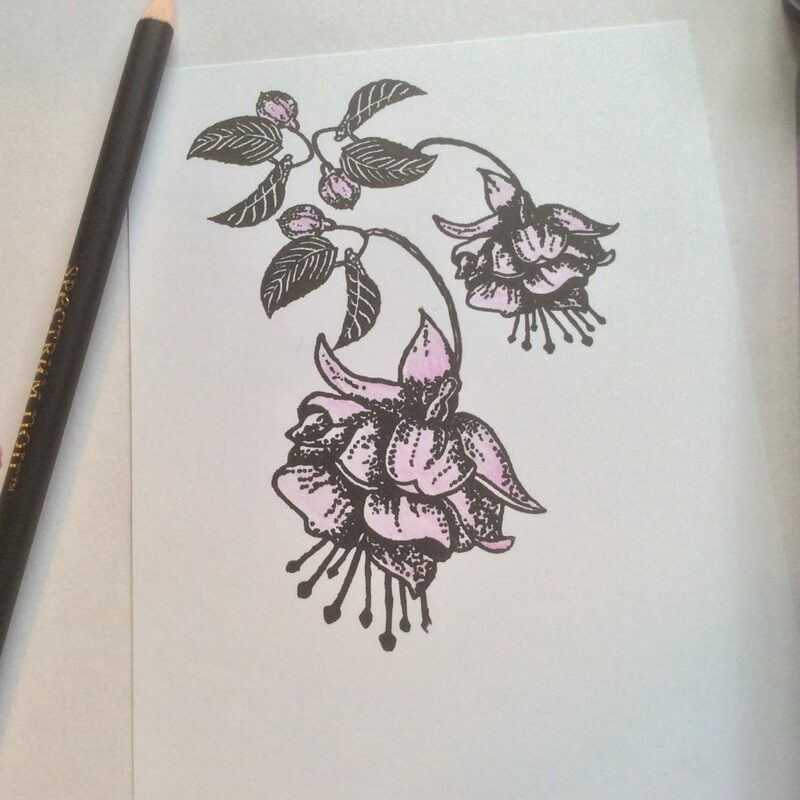 Colour them in with Spectrum Noir Pencils. I found all my colours in the Essentials tin. Add shade with a darker colour pencil. If you follow where I drew the shadow, you can’t really go wrong! Add a little green to the leaves. Load a Claritybrush with Antique Linen and dust back and forth around the edges, avoiding the flowers. Add Frayed Burlap carefully around the outside. 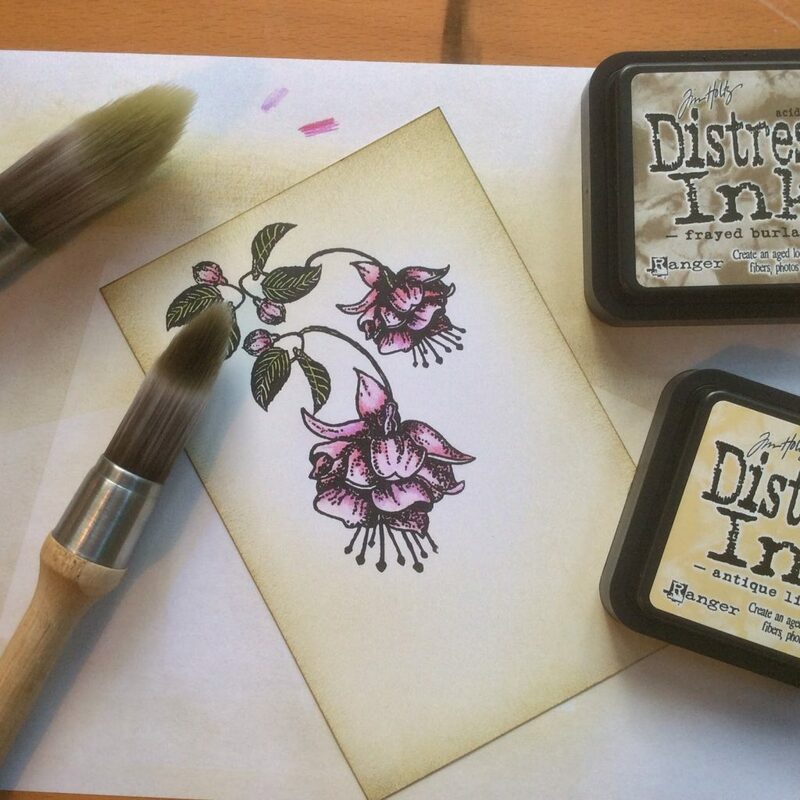 Pull the edges of the card across the surface of the Frayed Burlap ink pad. This is how we get a very dark rim. I have picked Blessing from Word Chain set No. It sits with how I am feeling this morning. 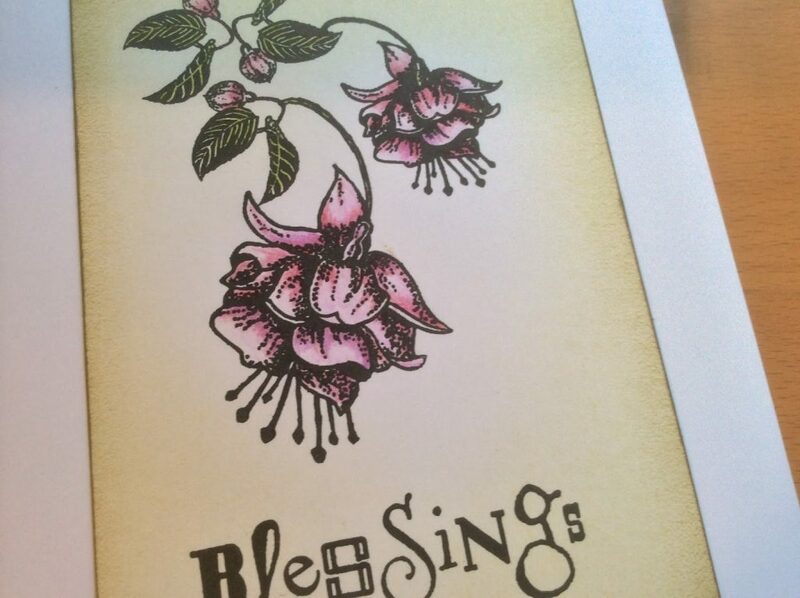 I love that these funky modern words work well with even the most traditional designs, like the fuchsia. So there we are. A quick, simple card. to make the price more appealing. we will give you the little Bud (worth £5.25) FREE. Anyway, it’s nearly 7.30 and I really must fly!!!! Lovely artwork. I have used these stamps over and over again and love them. Yes, for me too is was a really special Retreat on Mon and Tuesday. Hello to all those great people, including royalty!!! 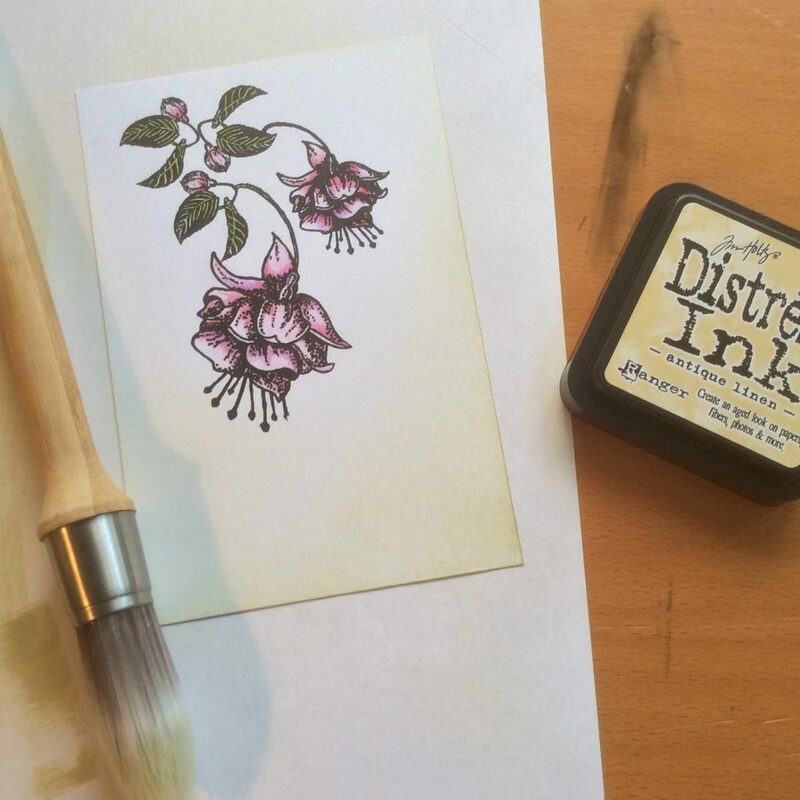 I have these stamps already so will be trying a similar composition. Hi Barbara. 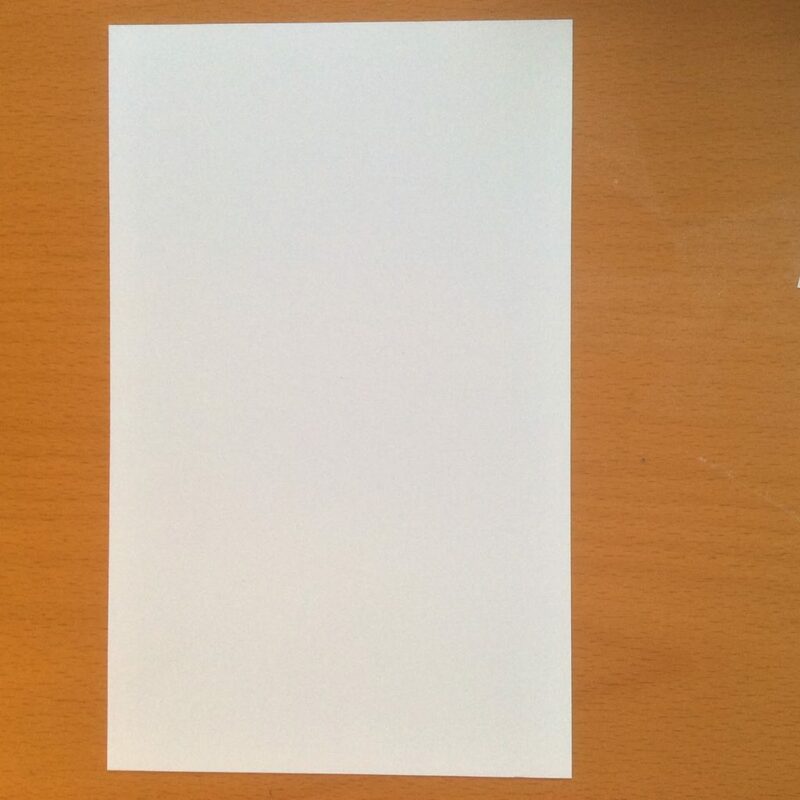 Beautiful card, so soft and gentlemm. 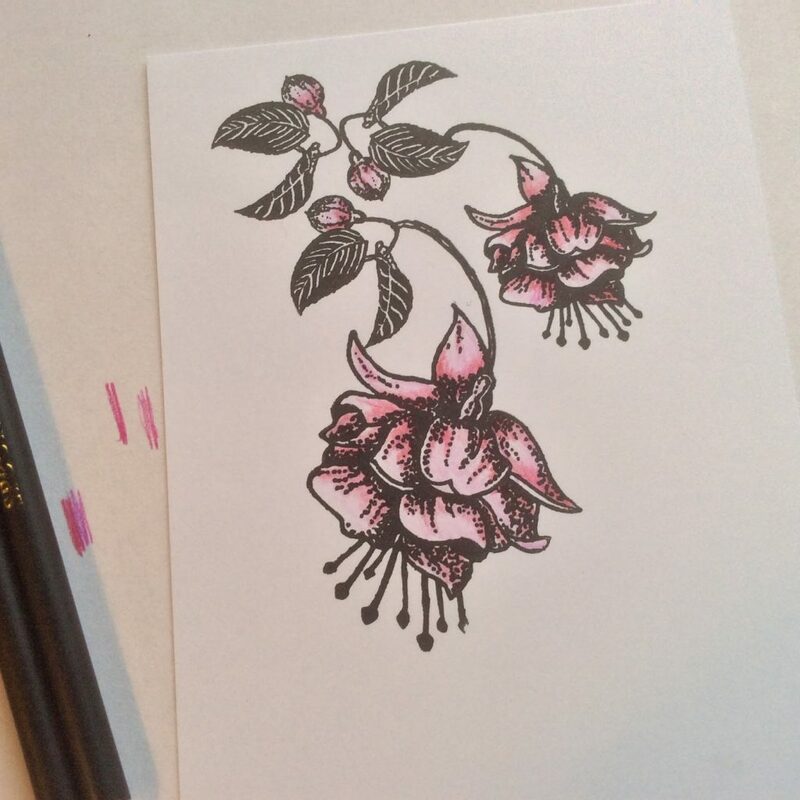 The fushia stamps are gorgeous. Bet you didn't imagine for a moment where this first stamp was going to lead you : ) It is lovely to hear that you are having such a good time at the moment. Long may it last for you. Have a good weekend. Take care. This is absolutely blooming gorgeous! It certainly is a case of less is more. Fussias are my favourite garden flowering plant. I have them in pots and hanging baskets attend the garden. I had a couple sitting on the door step – beautiful pink and purple tones. I came home one day last week to discover that one of them had been stolen off the step and a million bells had also been stolen out of a planter next to it. I was really saddened by that as I am not a natural gardener so it had taken a lot of effort to get them to the lovely flowers that they produced. I hope that whoever stole them is looking after them and enjoying the flowers. I think I might just have to have these fall into my basket and get them delivered!! Good morning Barbara! Beautiful card again! They really are fabulous stamps and so realistic! 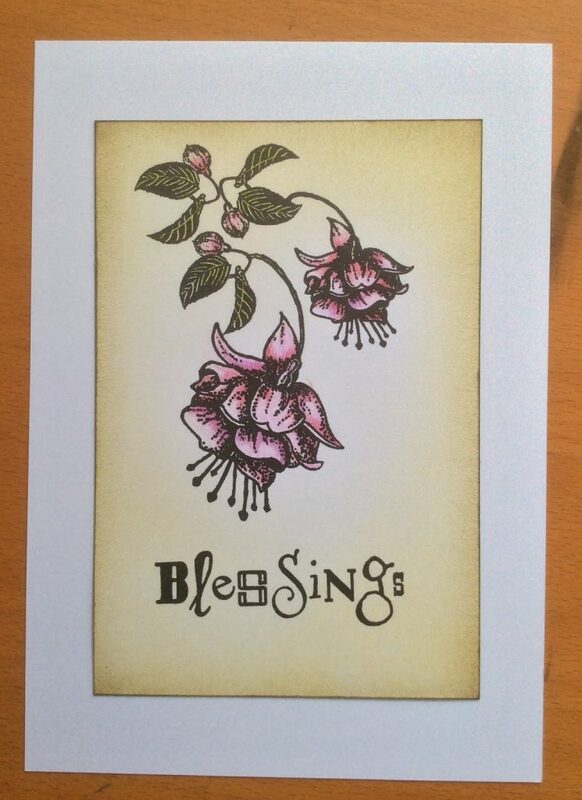 Good morning Barb, this is a beautiful stamp with a beautiful Lady making a beautiful card. Thank you for the kind offer, I might have to take you up on that . I really enjoyed my first retreat (Mon & Tues) I have been to day workshops before in Essex but this was soooo much better. One could get to know the other folk a bit. Hi Barbara, love the fushia card. 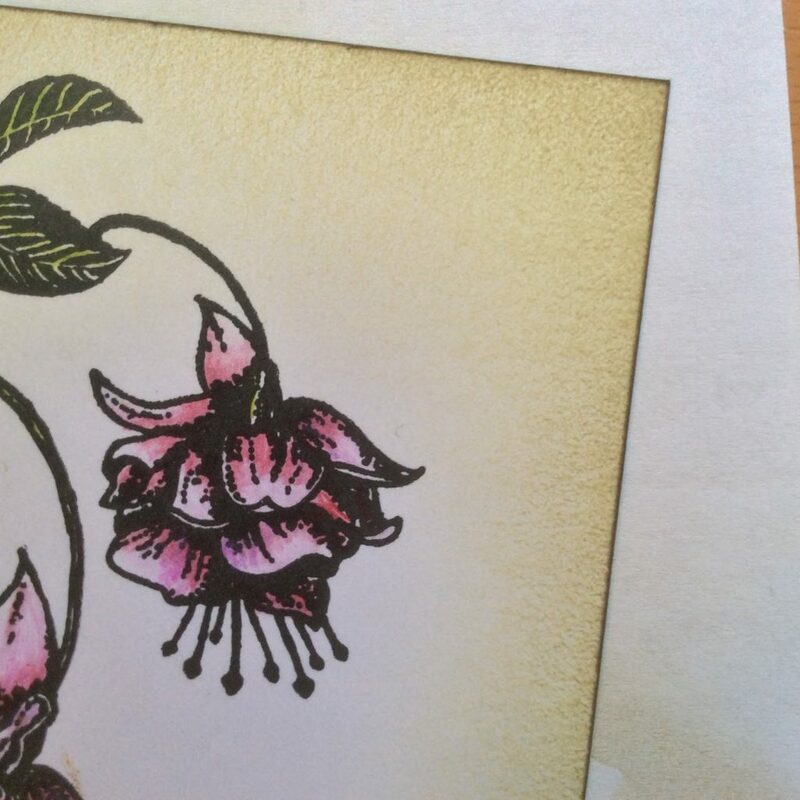 These fuchsias are lovely and I am very tempted by your offer Barbara, and i think the colours you have used and the background shading are beautiful. I'm glad you have bad a great time this week and an added bonus to see the Duke of Edinburgh too. He is wonderful for 90. 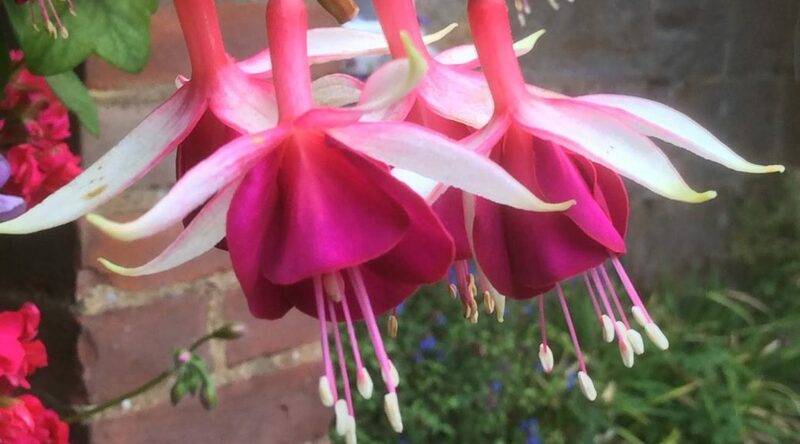 Love this Barbara, fuchsias are my favourite flowers. I am so tempted by the offers but unfortunately they came a day too late. A distressed daughter rang last night to say her car was seriously ill so it's mum to the rescue all without the aid of a natty cape too! Enjoy the last day of your retreat, I bet it has been a blast. Lovely stamps and stunning card. Enjoy the last day of your retreat and have fun. Lovely card and stamps. 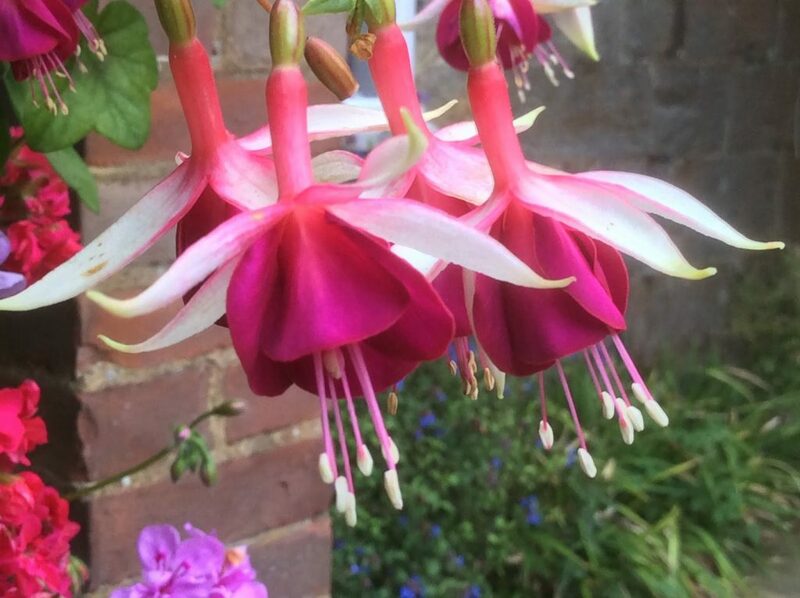 I, too, love fuchsias and can't believe I've let these get past me. Will have to check up on your offer and see what I can do!!! Hope everything went well. Though you've enjoyed your days, I guess you'll be ready for a rest!! I'm looking forward to the one I manage to attend-maybe next year! Like Joy Steels, on here late, but had a great day celebrating the 1st birthday of the Peterborough Clarity Stampers, just loved the tarmac technique Sazz showed us. Thanks for a letting us have such a great group that are now great friends and not just crafters. 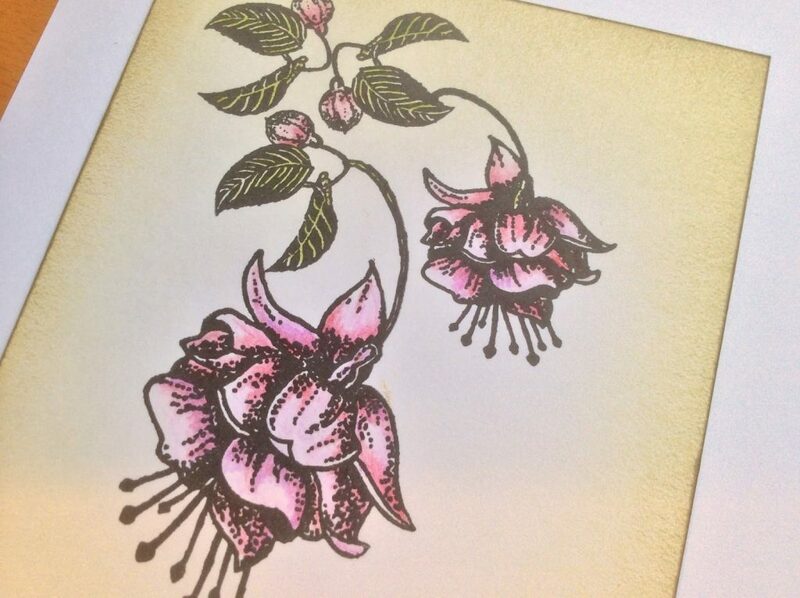 By the way a beautiful card and I love these stamps, one of my most used ones and a favourite flower of mine.